Participants in a cognitive heart failure program that uses electronic scales and telemedicine tools to track patients at home have a much lower rate of returning to the hospital within 30 days than industry averages. First-mover health systems are already using telehealth services to successfully manage patient populations and lower healthcare costs. Take Essentia Health, for instance. The 16-hospital and 68-clinic system uses an Epic EHR and telehealth technology from Medtronic to focus on improving the health of congestive heart failure patients and enhancing the care surrounding this chronic health problem. This story is part of a reporting package on the rise of population in health in healthcare IT management. Stories include our analysis of health system strategies, an overview of the work done by Essentia Health and a look at how mobile apps are supporting initiatives. Whereas 25 percent of congestive heart failure patients in the U.S. are readmitted to the hospital within 30 days, according the Agency for Healthcare Research and Quality, Essentia said that less than 2 percent of those participating in its telehealth program return in that same timeframe. Indeed, telemedicine technologies at Essentia and other tech-savvy hospitals can help fill in care gaps, monitor at-risk patients and extend services to patients who might not otherwise receive them. Essentia, for its part, started the telemedicine work in 1998 and then instituted a formal population health management program several years ago. Today, of the 2,500 patients in Essentia's congestive heart failure program, about 300 who meet certain clinical criteria have been given tele-scales. The electronic scales digitally report via landline or cellular phone service a patient’s weight every day as well as how that person responds to questions the scale literally asks aloud. Tele-scales cost between $70-$110 per month to lease. Physician assistants and registered nurses, in turn, can deliver telehealth care under the guidance of cardiologists. "Weighing every day helps you identify the real problems," said Denise Buxbaum, heart failure program manager at Essentia Health. "When these patients actually come into the hospital, most of the times they outspend their diagnosis-related group, anyway. Now we have contracts, we are an accountable care organization. 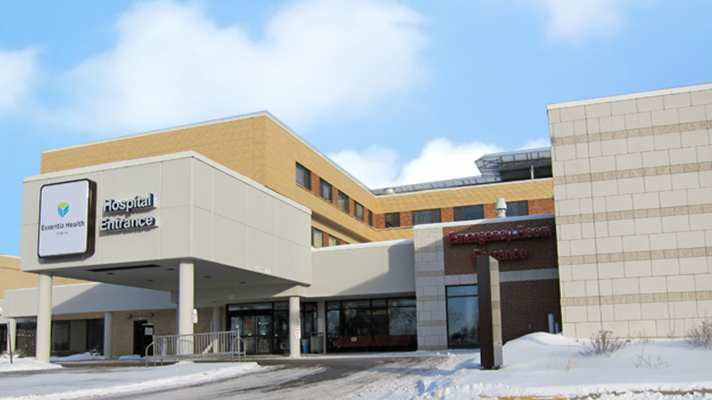 BCBS of Minnesota did one study and with this technology we saved them $1.25 million." Buxbaum said the combination of regular monitoring and the patient education that comes with it lead to improved patient health and, as a result, lower costs. "Patients need to understand the consequences of their lifestyle choices, and by showing them – when they see it with their own eyes – they are more likely to make a better choice the next time when they learn from ongoing education," she said. "With telemedicine, we are catching things early before patients have to visit an emergency room." Additionally, Essentia Health built an interface between the telemedicine system and its EHR so patient data that congestive heart failure nurses see can be readily available to all members of a care team. "Our EHR allows caregivers to review the patient medical record to see what other care coordinators or providers have done when caring for our patients," Buxbaum explained. "This allows for a more seamless, higher level of quality care when we all know what the rest of the health care team is doing."